Comment is a collection of views, opinion and insight from Edge Hill University’s academics about topical issues, current events or areas of expertise. Commentators from across the University use this space to discuss their views as well as sharing their own knowledge, research and interests. Childhood obesity – personal responsibility or environmental curse? As Labour delegates gathered in Liverpool, it was impossible to avoid mentions of Brexit. There are 25 separate fringe meetings listed on the conference agenda and there are certain to be more meetings arranged on the fly. The challenge Labour faces, whether at conference or immediately afterwards, is that it is simply impossible to satisfy all the strands of opinion among members and Labour-leaning voters. While the party’s position has been made clear on some policies (with rail renationalisation an obvious example), Brexit is one of those areas where it is all a bit vague. This has not necessarily been a problem to date. With doubt surrounding the government’s Chequers proposal, it would be difficult to have a hard and fast position that is not total opposition or total support. Of course Labour can do neither. It has instead drawn up a list of six tests it says the final deal must pass in order to be acceptable. But these are carefully drafted to be general enough not to frighten the horses. But conferences have a habit of throwing a spotlight on what is missing on party platforms, and there has been a build up of pressure on Labour to be more precise and to commit to a stronger statement of opposition. Ahead of conference, more than 100 motions on Brexit had been proposed for debate. Under Labour’s processes, this meant a lot of stitching together and compromising had to happen to produce one motion to put to a vote at conference. Late on Sunday night the wording emerged ready for a debate on the Tuesday (September 25). This immediately raises two questions. First, how likely is another early general election? It is good campaigning fare for Labour to keep calling for it, but under the Fixed Term Parliaments Act (2011) there either has to be a large House of Commons vote in favour (which is what happened last time) or a successful motion of no confidence in the government, which is not then reversed by a second vote. At the moment there is no parliamentary arithmetic showing such a vote can be won. An early election is simply not in the interests of either the Conservatives or the DUP, so crucial votes are not available to make it happen. The second question is about the logistics of another referendum. The UK is due to leave the EU on March 29 2019. Referendums don’t just happen. Parliament has to agree to one, the wording has to be sorted out, there have to be official campaigns designated, expense limits need to be agreed and there has to be a campaign period. Some argue that there simply isn’t time. However the roadmap published by the People’s Vote campaign argues that the logistics can work. The Article 50 letter can be withdrawn, the campaign argues, to make this possible. The motion also includes the line “conference believes we need a relationship with the EU that guarantees full participation in the single market”. Shadow Brexit minister Keir Starmer had in fact already highlighted this aspiration by proposing in 2017 a lengthy transition period with single market membership. This could also be a reference to future membership of the European Economic Area, something that is controversial in Labour circles. This is only part of the story for Labour however. There is ambiguity among anti-Brexit campaigners (or pro-second vote campaigners) both inside and outside the party about what form of words a public vote would use. Some believe it should offer the option of remaining in the EU. Others say it should simply be about accepting the government’s deal or not. It is not even clear if it would be a binary choice. Some, including the Conservative’s Justine Greening, are advocating a three choice ballot, which would presumably offer the choice of accepting the deal, rejecting it and remaining in the EU or rejecting it and leaving without a deal. (A linked problem arises here over the form of vote. A first past the post approach to the three options would cause an almightly row.) Of course some of this ambiguity is deliberate. Campaigns wanting to establish the principle of something need to avoid too many early details as that usually derails momentum. The task for Labour, as an opposition party wanting to get into government, is to adopt a position which is clearer than it has been while not offering up hostages to fortune by being overly specific. The position also needs to be maintainable during those tense weeks between the return of parliament on October 9 and the vote on the government’s deal. No small task. Paula Keaveney is a Lecturer in Public Relations and Politics. 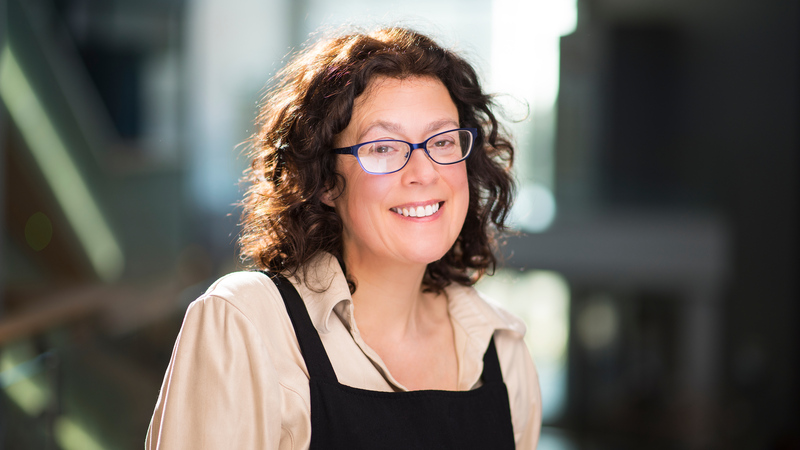 A former journalist and PR professional, her research interests include political communications, public affairs and PR and marketing in the charity sector. 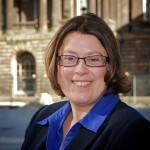 She is also a former leader of the opposition on Liverpool City Council.